Yet another first for me this year on the farm: transitioning from winter to spring. While I’m thankful for the short and mercifully mild winters here in south-central Kentucky, it does keep a beginning grazier on her toes. Seems like we just moved the cows and yearlings to their winter feeding paddocks and now, it’s time to build a strategy for getting them transitioned back to rotational grazing, in concert with what will soon be growing grass. The trick, as I see it, will be holding them in hay-munching mode long enough to let the pastures get a good start, all the while trying to avoid undue damage to the soil where they’re parked. Just where to put them, and when, to accomplish this is what I’m bending my brain around this week. The five youngsters pictured above are not really a huge problem where they are, and they’ll probably stay in their fenced acre or get rotated onto the short stockpile around their sacrifice paddock in increments, until it’s time to join them up with the big girls and move the entire bunch onto fresh tall grass. They are lightweight and by feeding out their hay in various spots, I’ve been able to conserve the turf in their paddock pretty well. 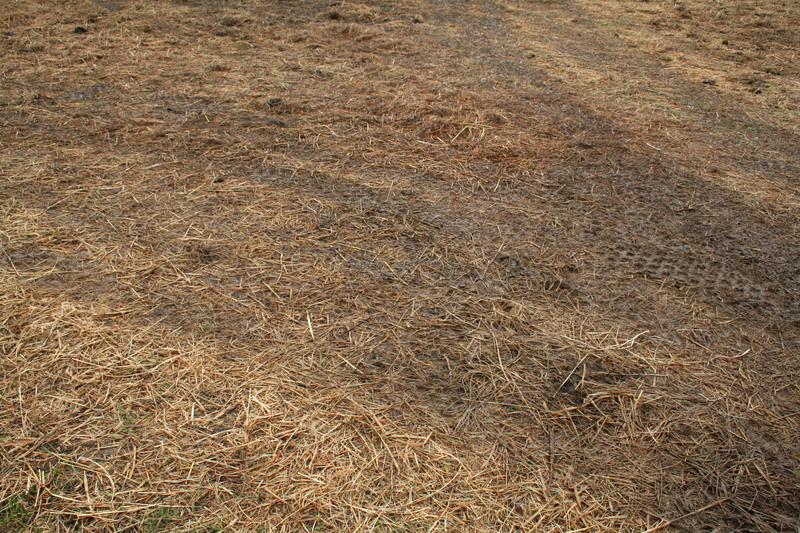 It lies underneath a layer of trampled hay, which adds carbon and will virtually melt into the surface once the temps rise and microbial activity begins; but most importantly, it is not altogether mud. A little compacted, lightly pugged in places, and definitely in need of tillage and seeding renovation, but in reasonable shape. The cow paddock, however, has had enough impact, since they are so much heavier and there are more of them. After these past few days of moisture I hate to walk through it and I can’t bring myself to take pictures of it, although as cattle feeding areas go around here, it’s only a bit soggy. It has layers of leftover hay from feeding piles distributed very evenly all around, and the very highest sections afforded fairly dry conditions up until this last bit of precip, but now it’s all wet all over, and with a couple of the ladies due to calve soon, I want them up on terra firma. So yesterday I dropped the partition line across their enclosure, letting them back into the section where I’d first fed them back in November, out of the round bale feeders. Roped off and left alone, the soil there had finally drained and dried out pretty well, and enough grass was still left around the perimeter that the girls ran around clipping off the remnants like they hadn’t been fed in three days, ignoring the piles of hay I’d already tossed down. Good hay just can’t hold a candle to green grass, no matter how short it is, for a cow. That rested acre will give them some clean dry ground for a few days, in case miss betsy decides to calve, and buy me some time to get the 5-acre First Pasture set back up for a quick, minimal-impact rotation through the month of March. There’s a short stockpile left on it that they will enjoy very much and I’ll keep feeding hay and move them on before they have a chance to graze it too close or pile on too much manure. Then I expect the grass will have broken dormancy by the time April is upon us, and I’ll have to figure out a holding pattern for the herd until forage growth is well above the post-emergence stage. Nothing sets a sward back faster than being bitten too soon, and I don’t want to get ahead of the grass growth in the sequence of rotation. Better to wait and feed hay a few more weeks, and let the forage bank build. So the little herd may end up back in their winter feeding paddock for the first part of April, as it will have drained and dried by then and can wait another few weeks for my Rotavator to get here for the renovation festivities. I haven’t decided what sort of crop or forage mix to plant there; still strategizing best use of that heavily fertilized couple of acres. It’ll get lightly tilled (not plowed), worked into a seedbed and be ready to grow forage annuals or perhaps a patch of oats, millet, or even feed corn. The Big Experiment continues. 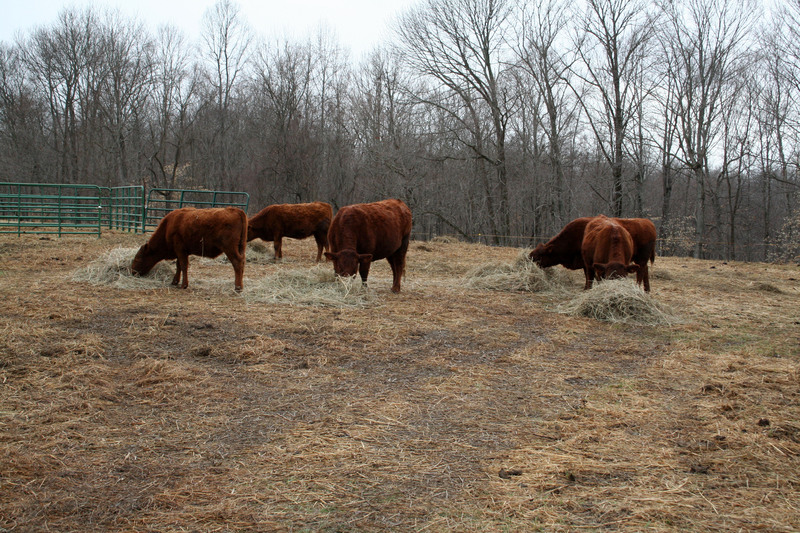 I’d love to hear how other grass farmers transition their livestock from winter feeding (or grazing, if you’re doing really well) to spring pastures. 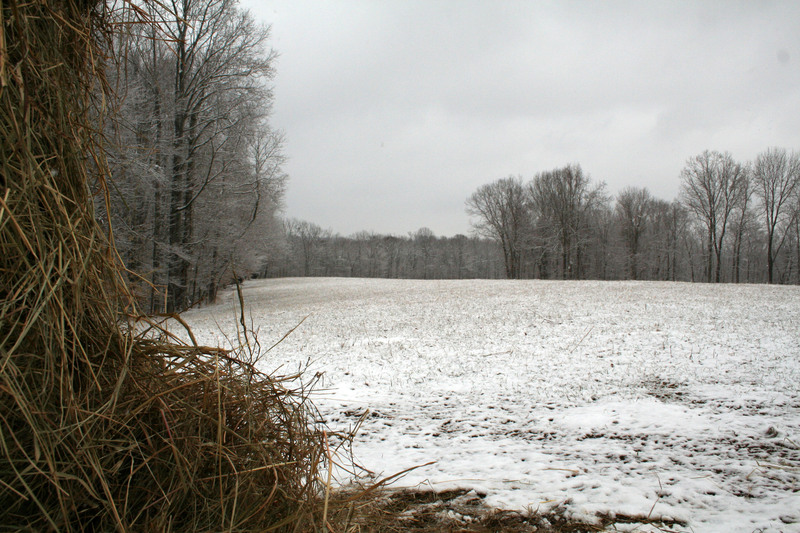 Despite the wintry look of this morning’s snow-covered dormant pastures, green grass is on the way, and I am planning for it.